When County Councils came into being in the late 1880s, they were charged with maintaining ‘main’ roads, roughly 25% of the highway network. It became common practice for day-to-day maintenance to be undertaken by a number of roadmen, each appointed to maintain a length of road. This gave rise to the term, ‘the lengthsman’. Over time, greater mechanisation and centralisation replaced lengthsmen with area-based work teams, controlled from County offices and depots. budget to employ a local contractor to undertake the works – the lengthsman. The annual rate of payment reduces after three years. This allows for a period of ‘catch up’, where any long standing issues can be prior to settling on a programme of routine maintenance. Legal responsibility for highway maintenance remains unchanged by the scheme, resting with Herefordshire Council. guidance on permitted works and area contacts for onward referral of more major works. Each parish is unique, with a different mix of landscapes and a differing balance of environmental factors to consider. This scheme allows local knowledge and experience to shape the programme of works undertaken and allows local inhabitants to have a direct say in what they believe would best benefit their parish. 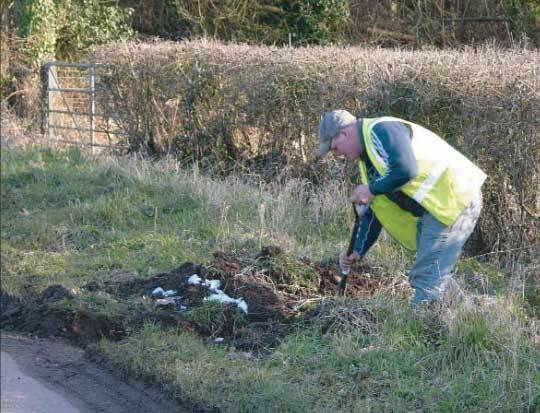 Works carried out by lengthsmen can range from clearing minor storm debris discharged onto the highway, cutting back overgrown hedges encroaching on footways and verge cutting as required by the parish. The scheme has proved extremely popular. In 2000, six parishes joined the new scheme. By 2005 there were 50 participating parishes with a more waiting to join. This growth has been fuelled primarily by word-of-mouth endorsement as parish councillors have seen the successes of their neighbouring parishes. plan is to continue to develop the scheme, with the aim of encouraging additional parishes to join in future years. The Council is also considering the potential to extend the scheme to incorporate Town Councils. This might allow Herefordshire’s five market towns – Ledbury, Leominster, Ross on Wye, Bromyard, Kington and Hereford city itself – to participate in the scheme. 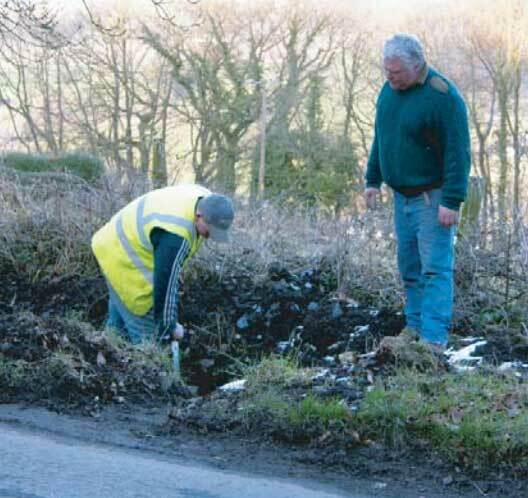 As highway issues are likely to be more significant in the towns, the scheme would focus more upon ‘Streetscene’ improvements such as litter, sign maintenance, graffiti and even public toilets. Minor Storm Debris & Litter – Clear all minor storm debris discharged onto the highway and keep tidy all specified roads. The scheme generates benefits for both local parishes and for the Council alike. ■ Local knowledge: identifies specific defects that are genuinely problematic for residents and identifies workable solutions. ■ Empowerment: the scheme has generated real enthusiasm amongst local communities as they have a direct say in what they believe needs to be done. ■ Proactive: issues can be captured and addressed while still relatively minor. More major concerns are identified and referred to the Council’s Area Teams as a matter of routine to allow works to be planned and programmed. ■ Value for money: provides a cost-effective way of delivering individualised solutions. ■ Partnership: the local administrator provides a ‘bridge’ between the community and the highway authority. The scheme provides opportunities for the parish and the area team to co-ordinate planned work in joint initiatives.